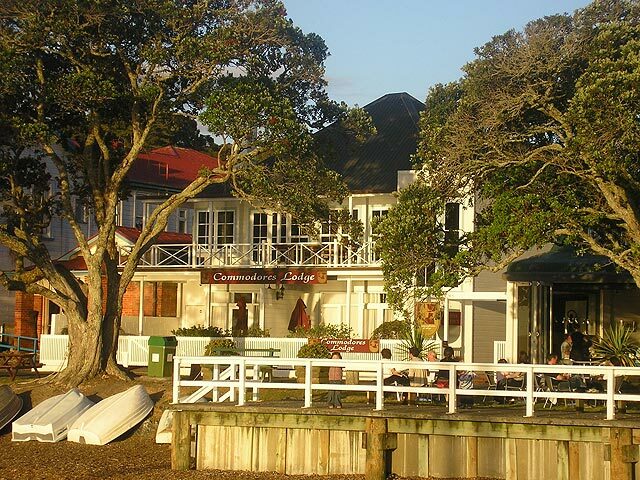 Commodores Lodge is located on the waterfront in the heart of the picturesque township of Russell in the Bay of Islands. Commodores Lodge has undergone major refurbishments in the last few years and we are very proud of what has been achieved. 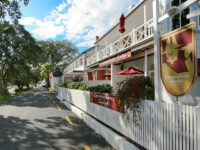 When staying with us it is only an easy stroll to local cafes, restaurants, galleries and gift shops. You may wish to discover Russell’s exciting past and visit our historic buildings and museum. If a cruise in the bay or fishing charter appeals we can arrange these for you and these all depart from the Russell wharf situated close by. 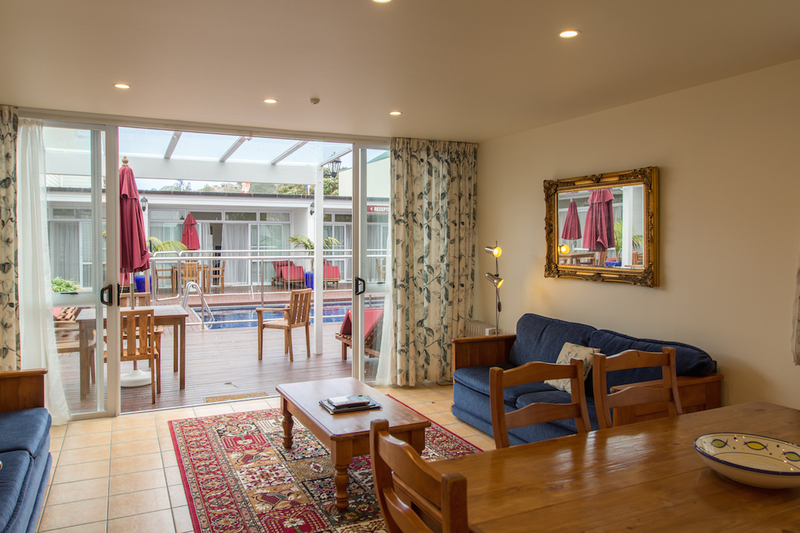 While staying with us we invite you to relax by our swimming pool and spa or make use of our complimentary bicycles, kayaks, dinghy and barbecue. 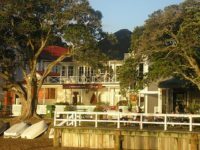 Try your luck fishing off the nearby wharf and enjoy a drink on the deck watching one of our wonderful Russell sunsets. 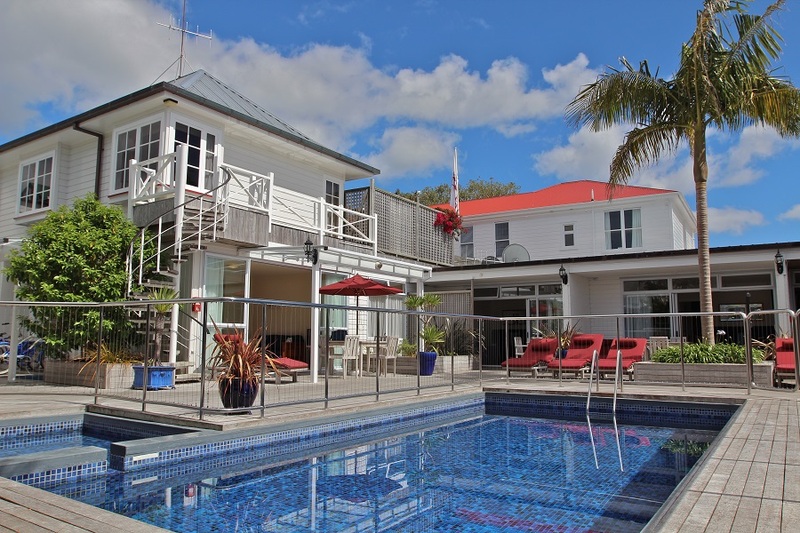 Russell is often called “Romantic Russell” and is an ideal place for a wedding or honeymoon. It is a wonderful place to unwind and escape to! 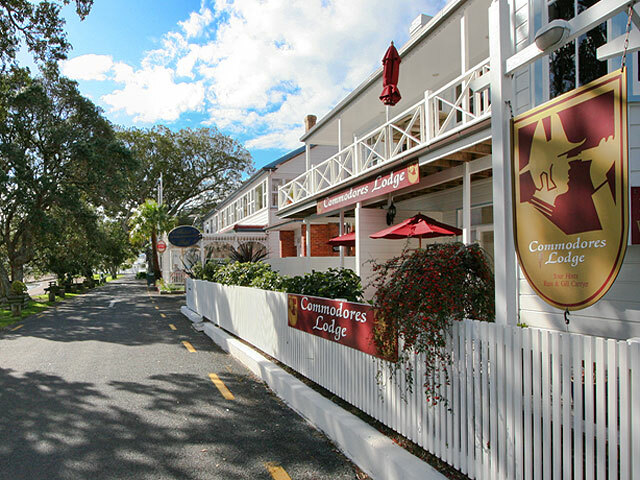 We hope you enjoy Russell with its charming and relaxing atmosphere, an intimate township rich in early New Zealand history; hospitable and timeless! Your hosts Bill and Pat look forward to meeting you (or welcoming you back) and making your stay one to remember.